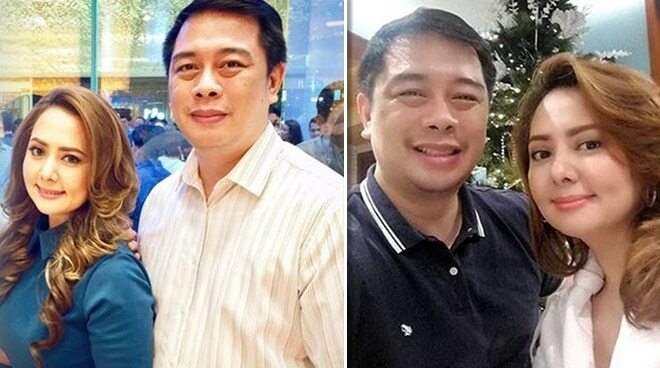 Former singer-actress Lindsay Custodio’s husband, former Tanauan, Batangas vice mayor Julius Platon, passes away. Lindsay Custodio was a popular celebrity in the ‘90s when she decided to step away from the limelight to marry former Tanauan City, Batangas vice mayor Julius Ceaser Platon II in 2000. In one of Lindsay’s previous interviews with PEP, she said that she did not follow any strict diet or beauty regimen and that maybe the secret to her youthful glow was her husband. “Siguro dahil mabait ang aking asawa, magaling siyang mag-alaga, and walang binibigay na problema." Unfortunately, Lindsay’s loving partner passed away yesterday, November 19. The former vice mayor had a stroke while driving along SLEX Sucat. He was rushed to the Asian Hospital and Medical Center but didn’t survive the stroke. He was 43. The 40-year-old former actress starred in the now defunct show Ang TV and also released several studio albums. The couple were last seen together in public at Jolina Magdangal’s birthday party at Cove Manila.